Greetings and Happy Thanksgiving! The weather is beautiful in Downieville today and expected to stay the same for the weekend. The sun is shining, the trees are still gorgeous-perfect weather for a nice drive up Highway 49! Escape the frenzy of Black Friday shopping and enjoy the peacefulness of our little town. The Lions Club is selling Christmas Trees, and as always, there is a great selection of beautiful locally grown trees! 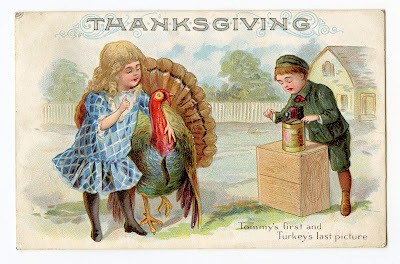 Vintage Gal Antiques will be open Friday and Saturday of this Thanksgiving weekend. Hope to see you! 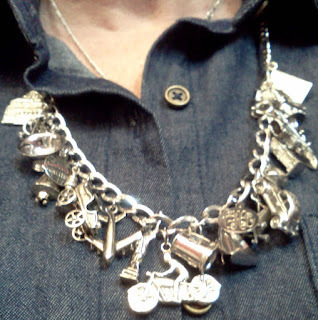 Today I wore my charm bracelet to the shop. I've had the bracelet since I was about 10 years old and all the charms have a special meaning to me. But...I haven't worn the bracelet on my wrist for years...I've found a new way to wear it. 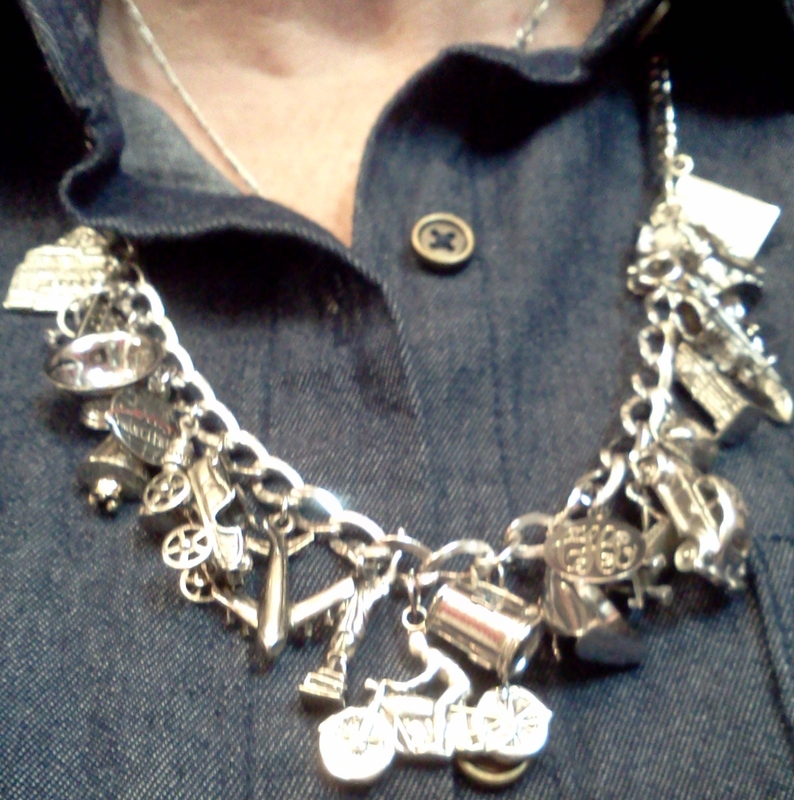 Several ladies came in to the shop today and commented on my "necklace". When I told them it was my old charm bracelet, they were excited, and said they couldn't wait to get home and do the same to their bracelets! One lady even said she hadn't worn her bracelet in years, but for some reason, decided to wear it today! Fate-I tell you! What I've done is just attach my bracelet to another sterling silver chain (about 16 or 18 inches) and turned it into a necklace. Since the charms on my bracelet were soldered on, it would be too hard to remove them, so, voila! 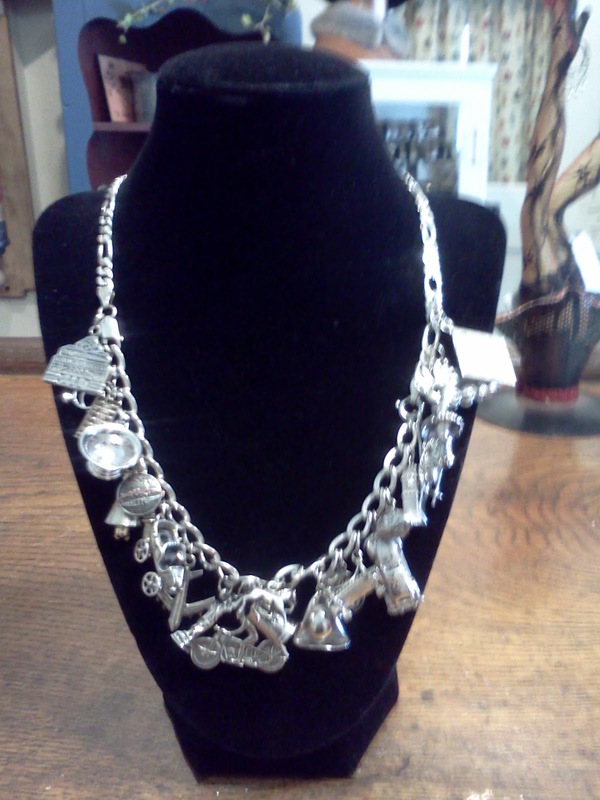 I just turned the bracelet into a necklace! 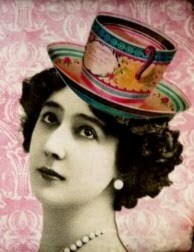 A great conversation piece and not as "noisy' to wear! Thinking outside the box! Give it a try! 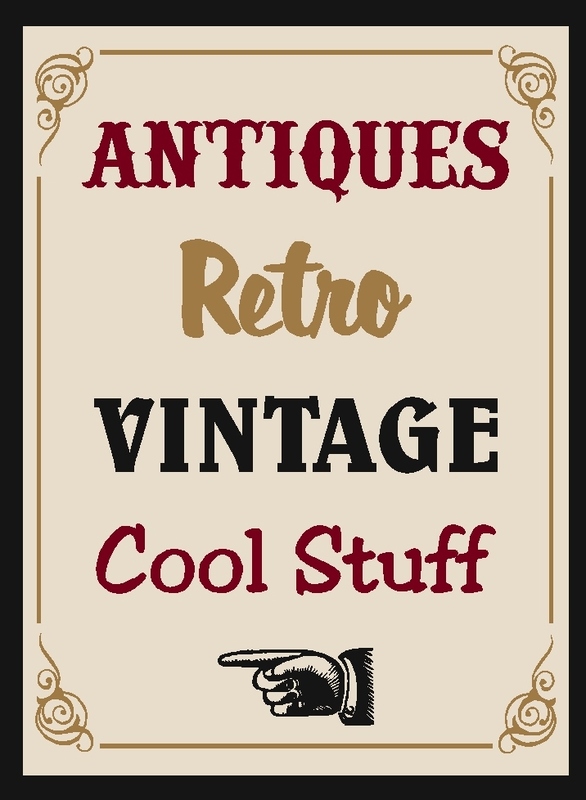 Welcome to Vintage Gal Antiques ~ Sierra County California's Largest Antique Store! Located in Downieville, a quaint little town, in the heart of the Gold Rush Country on Historic Hwy. 49! Come up and discover all the treasures in the Sierras and in my shop! Visit Cherry's profile on Pinterest.